Honors College scholarship applications are closed for the 2019-2020 academic year. Applications were due by March 6th, 2019. Applicants must be Honors students who will enroll full time (12 credits) at the University of Utah and will pursue completion of the Honors Degree. Please complete the University of Utah General Scholarship application as prompted by the links below. Recipients should note, all scholarships are distributed over a period of two semesters and will be deposited directly to the student’s tuition account. Barbara Lindsay was a respected, distinguished and dedicated faculty member in the Languages and Literature department. She also taught and coordinated Honors Intellectual Traditions courses. As a tribute to her memory, this scholarship is awarded to a rising junior or senior Honors College student who has completed an Intellectual Traditions course. To apply students should address (1000 word) the essay prompt: “How Intellectual Traditions has Benefited my Undergraduate Experience”. Generously donated by Martha Bradley Evans, Associate Vice President of Academic Affairs and Dean of Undergraduate Studies, scholarship funds are awarded to students who have completed the Honors College course City as Text (HONOR 2000) or City as Text: London (HONOR 3818), and will be studying abroad. Applicants should provide an essay (1000 words) that describes why their selected learning abroad is appropriate for helping them accomplish their major field of study goals. Funding will be awarded based on need and the compelling nature of essays and the connection to academic goals. C. Charles Hetzel III graduated from the University of Utah in 1963 and went onto become a highly successful Wall Street Investment Manager. Mr. Hetzel is a strong advocate for education and an active member of the National Honors Advisory Board. Mr. Hetzel generously created scholarship funds to assist U.S. citizens who are currently at a non-resident status and admitted to or enrolled in the Honors College. The Honors Darke Essay Award was established in honor of Roy A. Darke, Associate Clinical Professor of psychiatry at the University of Utah, School of Medicine. Recipients must be a rising junior or senior Honor student majoring in psychology. Students wishing to be considered for this award will write an essay (1000 word maximum) addressing the following prompt: “Discuss the relationship between medicine and either the behavioral sciences or humanities”. This scholarship fund, established in 2002 by Bethann Butcher Martin in the name of Duane Harris Butcher, is for students in the Honors College who are descendants of the Utah pioneers who emigrated from 1847-1897. Applicants will demonstrate appreciation for heritage and community through a one-page essay and demonstrate talent or aptitude in a chosen field. A generous gift from the trust of Betty Debenham established this scholarship in honor of James B. Debenham for rising juniors and seniors who are completing the Honors degree. Award: Two scholarships in the amount of $2,000 per recipient. Scholarship funds have been provided to assist continuing students who are finishing their junior year, with the funding to be used in their senior year. Students must have an outstanding academic record while demonstrating leadership in co-curricular activities within their school and community. This award is for students with demonstrated good character, intellectual ability, breadth of interest, and community leadership. This award is to go a rising junior or senior Honors student who is majoring in Computer Science with a keen interest in artificial intelligence. The Kenneth Browning Handley Scholarship honors the memory of Kenneth B. Handley who, at the time of his death in December 1982, was a student at the University of Utah majoring in chemistry and mathematics. Ken was an outstanding student and had a great curiosity about the world and broad interests in literature, philosophy, and music. He was an accomplished clarinetist and was mature, respectful, and compassionate in his dealings with others. He was a loyal friend and exemplary older brother. Funding it to be awarded to a rising junior or senior who demonstrated good character, intellectual ability, and breadth of interest and seriousness of purpose through a 1000 word essay. Recipient must be working towards completion of thesis degree. Established by Jon and Phillip Lear in honor of their parents, Frank L and Dorothy Pond Lear, scholarship funds are to awarded to an outstanding junior or senior in the Honors College who demonstrate tangible skill and interest in their chosen field of study, and are committed to attaining an Honors degree (thesis completion) with high academic standing. The Martha Bradley Evans-Fellow Award was established in 2013 by friends, family, colleagues, and former students in recognition of her service as Dean of the Honors College. Dr. Bradley served as Dean from 2002 until her appointment as Associate Vice President of Academic Affairs and Dean of Undergraduate Studies in 2011. Scholarship funds will be awarded to a student who is passionate about and works on behalf of issues of social justice and community engagement. Applicants must be a rising junior or senior who demonstrate tangible skills in their chosen field of study, and commitment to attaining the Honors degree with high academic standing. Established by a generous donation in 1992 from the Martin H. Hiatt estate, this scholarship is awarded to a rising junior or senior who is committed to completing the Honors degree. Students must demonstrate they are working towards thesis completion and are actively involved in the Honors College. The Sweet Candy Company is a fifth generation family-owned and operated business that was established in 1892 in Portland, Oregon and relocated to Salt Lake City, Utah in 1900. The Sweet Candy Scholarship was established in 1989 by L. Jack Sweet, and Corrine H. Sweet to provide scholarships for outstanding Honors students who are rising juniors committed to completing their Honors degree. The Kay Linscott Rohrer Study Abroad Scholarship established in 2019, by Dr. Patricia Rohrer, Associate Professor (Lecturer), and Assistant Dean of the Honors College and William Warren, Chief Marketing & Communications Officer at the University of Utah, is in honor of Kay’s Linscott Rohrer’s restless spirit, intellectual curiosity and sense of wonder. Kay inspired her children to be open to new perspectives, pursue their academic ambitions and see the world. Scholarship funds have been established to assist first-generation Honors students, who plan to study abroad for a minimum of 3 credit hours. Applicants must demonstrate acceptance/enrollment in a study abroad program and provide a short statement on how this experience will enhance or assist them in achieving their undergraduate education goals. Established in 2019 by Utah alum Chris Williams (’95), the scholarship is to be awarded to a junior or senior Honors student working toward the Honors Bachelor Degree in Humanities or Social and Behavior Science who intends to purse academic or professional work in social justice. Preference will be given to LGBTQ-identified or -aligned students. A former Honors student himself, Williams established the scholarship to support the next generation of leaders and thinkers working for equality for the LGBTQ community and other historically marginalized peoples, to further dialogue about LGBTQ issues in Utah, and in recognition of the role of the University community in fostering acceptance of diverse peoples, families and viewpoints. 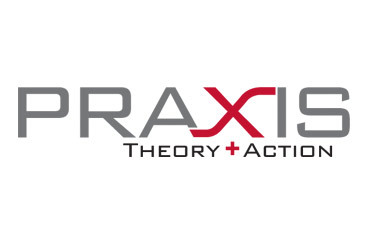 Honors College Praxis Labs draw students from all disciplines to collaborate on innovative project-based solutions to pressing societal challenges.